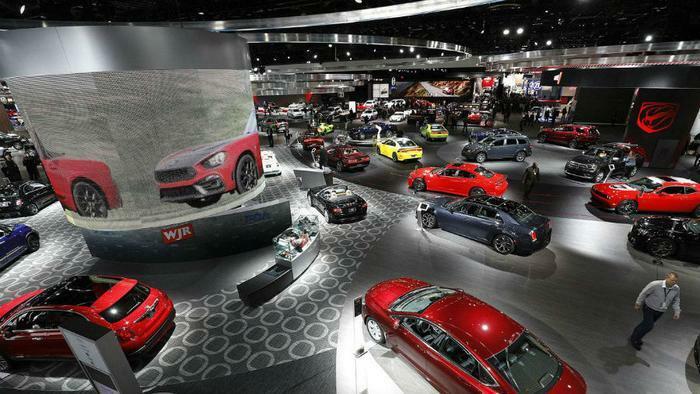 The Detroit Auto Show kicked off this week with lots of shiny new products, but there was an overhang of concern about the future of the auto industry. Change is in the air. Just in the last year, we have seen auto sales begin to level off, Volkswagen announce that it is getting out of the diesel business in favor of electrics, and Ford and GM retire most of their sedans in favor of trucks and SUVs. Ford CEO Jim Hackett says his company has undergone a restructuring to make it more efficient, and those efforts have paid off, even as it raised costs in the short run. Hackett said 2018 was largely spent thinking about and designing changes to Ford’s line-up, and 2019 will be about implementing them. Ford announced in 2018 that it is phasing out its line of sedans to focus on its popular trucks and SUVs. Meanwhile, the North American Car, Utility, and Truck of the Year awards were presented to the Genesis G70, Hyundai Kona, and Ram 1500. The vehicles were selected by a panel of journalists from print, online, radio, and broadcast media across the U.S. and Canada. "The Genesis G70 doesn't just go toe-to-toe with segment mainstays like the BMW 3 Series, Audi A4, and Mercedes-Benz C-Class – it beats them all in driver engagement while positively slaying them on value for the dollar," said Chris Paukert, vice president of the awards program and executive editor of Roadshow by CNET. "No longer just a value play, it's the real deal." The Ram 1500 emerged as the winner in the truck category, edging out two trucks from GM -- the Chevrolet Silverado 1500 and the GMC Sierra 1500. GM used the Detroit show to unveil its new Cadillac XT6, a luxury SUV that uses the same frame as the Buick Enclave but adds Cadillac style. In addition to the upgraded trim, the XT6 has an air ionizer for the cabin, along with heated and ventilated front seats. Ford introduced the Shelby GT500, calling it the “most powerful street-legal Mustang ever.” Ford said the new consumer version of the car is on par with the version of the Mustang used by NASCAR.